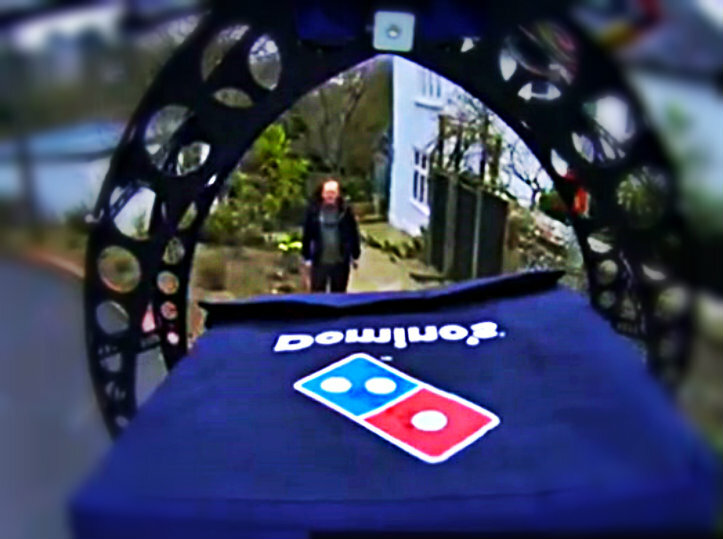 Domino, Texas – If you didn’t already want to order a pizza today for the Super Bowl, you might want to just for the experience of drone delivery. All across the nation, Domino’s Pizzas will be delivered by their new Domicopters, which were recently tested in the UK. “People here bloody loved it!” said Max Tunage, a virtual nobody with whom we spoke. As soon as your pizza is done cooking, you will be sent a text message informing you that your pizza is en route to your front door and will be there within seconds. If you’re not standing outside to personally receive the delivery, your phone will ring indicating that your pizza has arrived and is sitting in the middle of the street. Domino’s Pizza expects to deliver 110000000 pizzas on Super Bowl Sunday, and they honestly don’t know how many zeros are after the eleven. Call now to pre-order your drone delivery!